Natural Vitality CALM Magnesium offers several benefits when added to your daily routine. It’s no secret that magnesium is a crucial mineral for overall health and wellbeing. About half of Americans don’t get enough magnesium from their diet and supplementation can offer benefits for many people. Magnesium is well-known for its stress relieving and calming properties. Its list of benefits ranges from preventing migraine headaches to insomnia. I have used supplemental magnesium into my daily routine for over a year now, and I have first-hand felt and experienced the benefits. I don’t skip a single day of taking magnesium, because I know how powerful and important it is for my body. In the spirit of embracing a more restful and relaxing 2019, I was given the opportunity to try out a magnesium supplement called Natural Vitality CALM. I was very impressed with the quality, taste and ease of the product. Below I share more about my experience and the proven benefits of adding magnesium to a wellness routine! What is Natural Vitality CALM? 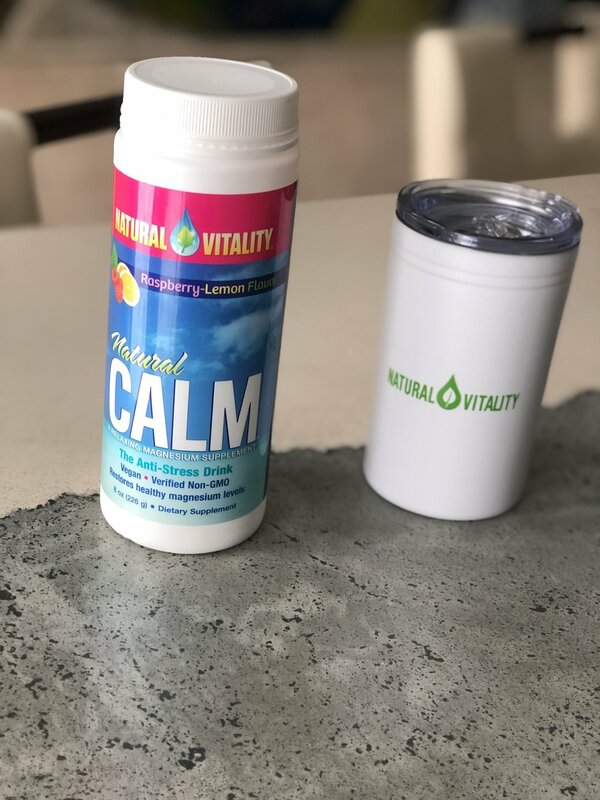 Natural Vitality CALM is a fruity, light, dissolvable powder that promotes healthy magnesium levels and balances calcium intake when mixed in with beverages—helping you to feel more grounded and calm throughout your day, or as you rest and go to sleep. Magnesium is a vital mineral supports so many important bodily functions that keep you healthy from day-to-day. The award-winning product is made with high-quality ingredients. It is sweetened with stevia (a plant-based sweetener), and is verfied non-gmo. 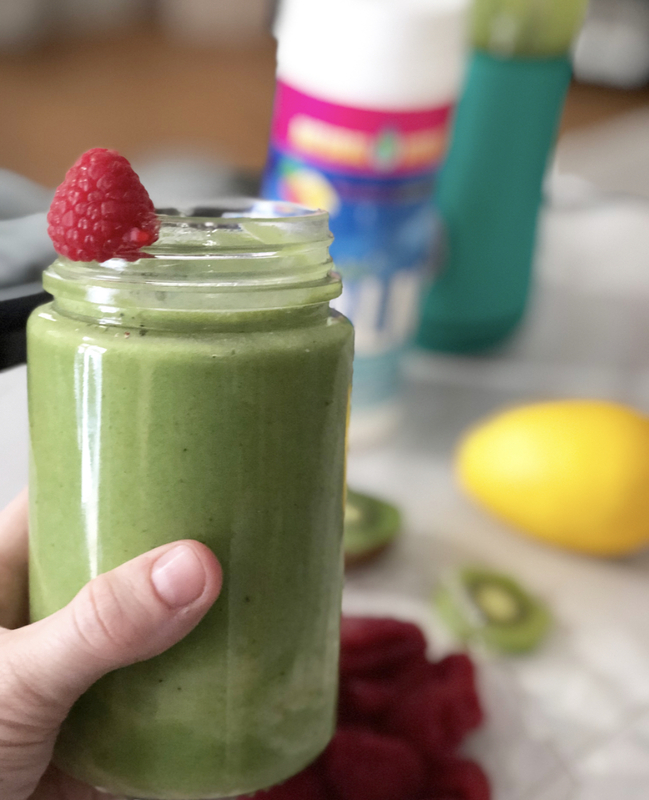 The light-weight powder is naturally flavored raspberry-lemon, so it is a great addition to a green smoothie or to liven up a plain glass of H2O! Many magnesium supplements I have seen and tried are what I call “horse pills” because they are such large capsules that they are very difficult to swallow, and I have had to crush them or break them in half, which is just a mess and as you can imagine tastes awful! Being able to take the Natural Vitality CALM magnesium in a dissolvable form has been a much-welcomed change to my wellness routine! You simply just add the power to a drink of your choice or glass of water. I started taking magnesium when I was diagnosed with frequent migraines from undiagnosed lyme disease. I was a little skeptical at first about how a simple supplement could really help the awful migraines I was experiencing a few times a week, but to my surprise once I was taking magnesium regularly for several months I did notice a reduction in my migraines. Some other benefits I experienced fairly quickly were less muscle spasms, and the ability to relax in the evening and fall asleep easier when I was stressed out or my body was in pain. As a certified integrative nutrition coach and chronic illness warrior, I am a big fan of this product and utilizing magnesium as a part of a self-care routine to help combat stress and other health issues. Magnesium can be taken in the morning or evening depending on your own personal preference and routine. It can help you to jumpstart your day in a calm state-of-mind, or help you wind down in the evening and relax your muscles and body, so you can more easily fall asleep. There are so many benefits to adding magnesium into your daily regimen. How and when you decide to take it, is up to you! Magnesium can boost your mood and promote relaxation. Studies have shown that people who have a magnesium deficiency are more likely to develop depression, anxiety and mood disorders. In fact, it has been shown that magnesium can work just as well as an anti-depressant in some cases. Magnesium helps control blood sugar levels. Many studies have shown that higher levels of magnesium in your body are correlated with a lower risk of developing diabetes. Magnesium is also crucial for your bone health. Along with Vitamin D and calcium, magnesium helps support the building of healthy, strong bones. Some experts say that boosting your calcium levels without increasing your magnesium could render the calcium ineffective. It is crucial to keep a balance of 2:1 with calcium and magnesium in your body. Magnesium is also said to lower you blood pressure, however it is important to note that studies have found this is only true for people who already have high blood pressure, and that magnesium may not have a preventative impact on those with normal blood pressure levels. Additionally, some people, including myself, use magnesium as a migraine preventative. Studies have shown that many individuals who have migraines are actually magnesium deficient and therefore supplementing with the mineral decreases the frequency of their migraines and headaches. Magnesium also is said to have some anti-inflammatory properties. People who have chronic inflammation many times are also magnesium deficient. Adding magnesium to your regimen when you suffer from a chronic inflammatory condition can potentially help improve your symptoms. If you have any questions about Natural Vitality CALM or want to experience the benefits for yourself you can visit https://naturalvitality.com or Amazon to learn more or purchase the product today! I always blend my smoothies in layers to get the best taste and texture! I blend the banana, almond milk and magnesium powder first to create a smooth consistency. Next, I blend in the greens, and lastly I mix-in the fruit one-by-one. Blend until the smoothie has an even texture. It may take an extra couple minutes to do it this way, but I can promise the better quality is worth it! Enjoy! If you have questions regarding your magnesium levels or whether or not magnesium is right for you, be sure to consult your doctor or health care provider as this article is not to be taken as medical advice.